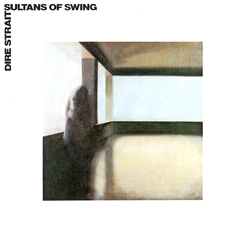 Desert Island Singles: “Sultans Of Swing” by Dire Straits (1978) | Name-Brand Ketchup. ← Sad to note the passing of James Garner. 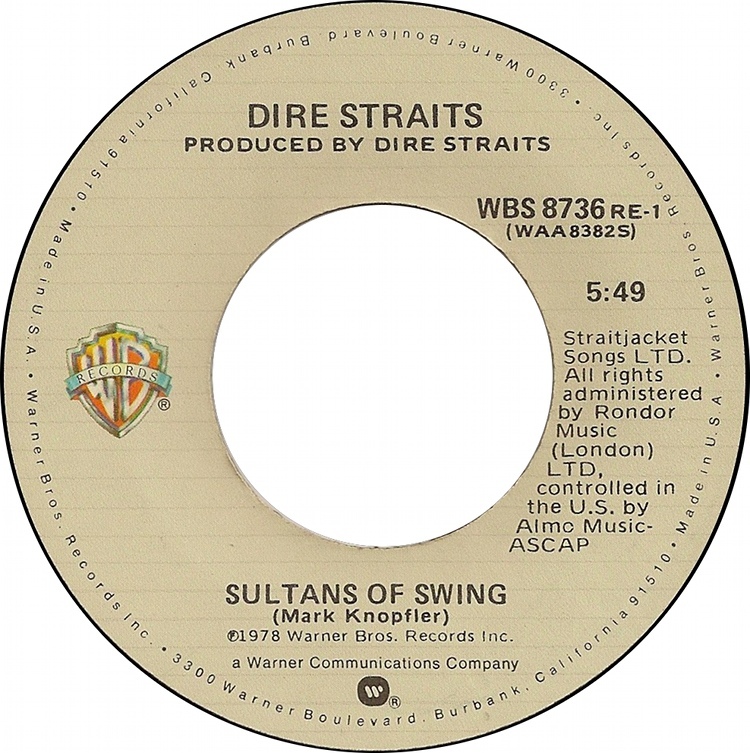 “Sultans Of Swing” took everyone by surprise during the winter of 1978-79. It wasn’t disco, thank goodness, but it wasn’t new wave either. It told a story, but not in a “novelty-song” way. From the flam of Pick Withers’ drum it launched into a narrative about a London bar band. No one knew quite what to make of it. Despite that, or maybe because of that, it became a Top Ten hit and put Knopfler and Dire Straits on the map. I put this one on when I’m feeling low, and it always picks me up. “You feel all right, when you hear the music ring” sums it up for me. This is a feel-good song, one that puts you into another world for six minutes. The fluidity of Knopfler’s Stratocaster carries the song, not only in the signature riff at the end of each verse but also on the two soaring solos. I’ve referenced Dire Straits in “Desert Island Discs” before, but this is by far my favorite song of theirs. They arrived complete with this one. A nice tribute to musicians who play their hearts out for the love of the music.